Moonshine is located in the city centre of Kunming. The hotel property was transformed from a century-old residence to an elegant and cozy hotel. “Moonshine” implies “yearning for a bright place”. 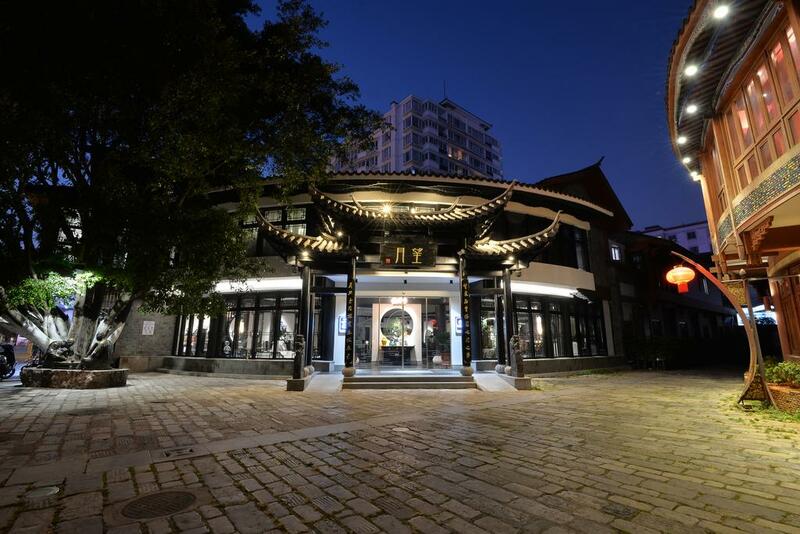 The hotel is in traditional two-hall quadrangle architectural style dating back to the Ming and Qing dynasties. Its design incorporates Chinese ink painting concept, with black and white as its basic colour tone. The outlook, room configuration, and courtyard of the hotel blend with traditional cultural elements and modern facilities. With the aim of restoring the hotel to its original state, preserving its original appearance and structure while enhancing it with modern facilities, each guestroom is decorated by the owner with passion; carefully selected Chinese-style furniture, crafted windows, wooden bed and embroidered pillows, all these showcase the traditional Chinese craftsmanship. Kunming is known as a “spring city” due to its comfortable weather all year round. The cloistered courtyard at Moonshine is filled with various flowers and green plants. With gentle breeze and natural fragrance from the greenery, the courtyard provides a cozy environment for guests to rest and relax. One of the highlights of Moonshine is the traditional well in the courtyard built in the Tang Dynasty. Legend has it that a ferocious dragon was locked under the East-West Tower. Villages then built the well to comfort the dragon and prevent it from escaping. The villagers sometimes would open the well for the dragon to breathe. The legend still goes on today and the well becomes one of the famous sightseeing spots in Kunming. 24 m² / 258 sq. ft.
32 m² / 344 sq. ft.
41 m² / 441 sq. ft. The above room rates are inclusive of tax, service charge, and Chinese breakfast for two persons. Additional breakfast at RMB40/person/day. Extra bed at RMB270/bed/night (subject to availability), including one breakfast. For any stay during the peak season, a prepayment of 1 room night at least 2 working days before your check-in date is required. Hotel information is provided by the hotel property and is subject to actual condition of the Hotel. Moonshine reserves the right to change any Terms & Conditions without prior notice. It takes about one hour’s drive from the Dali Airport to the hotel, depending on the road condition. The hotel is 40 minutes to historical sites Ancient Town of Dali and 15 minutes to Erhai by car. Please contact us at travel@the-silk-road.com for local tour arrangement.